As an artist and pet photographer, I get images in my head and want to create them with my medium, photography. When your subject is a wiggly kid or wild puppy, it can often seem like everything is working against that vision. But every so often, there is a moment when all the stars align and everything comes together. This is my favorite image from session. Cooper being a firehouse dog! 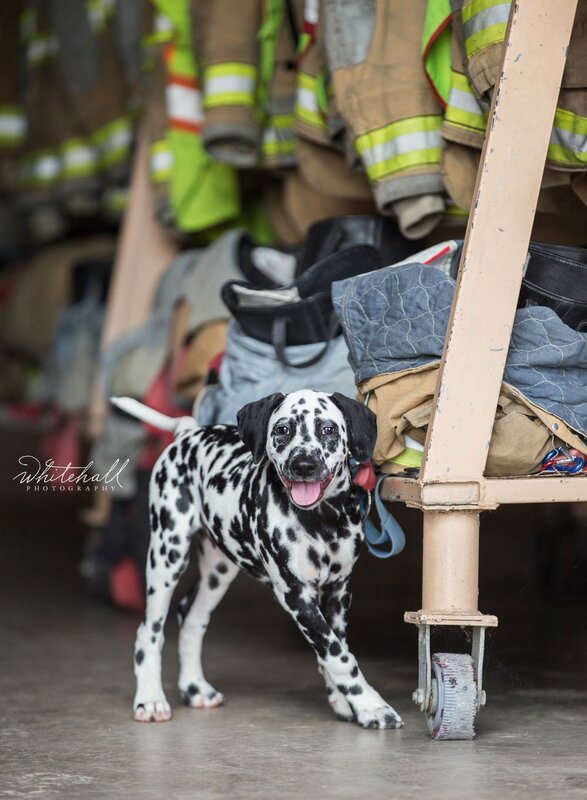 My friend Tamela Weese Martin of Tamela Martin Photography had a client with a Dalmatian puppy and she reached out and asked if we could borrow him for the dog photography shoot. The only catch is that Cooper (the puppy) was in Elizabeth, WV - a bit more of a drive. After picking up Cooper, we head to the local fire house with puppy in tow. 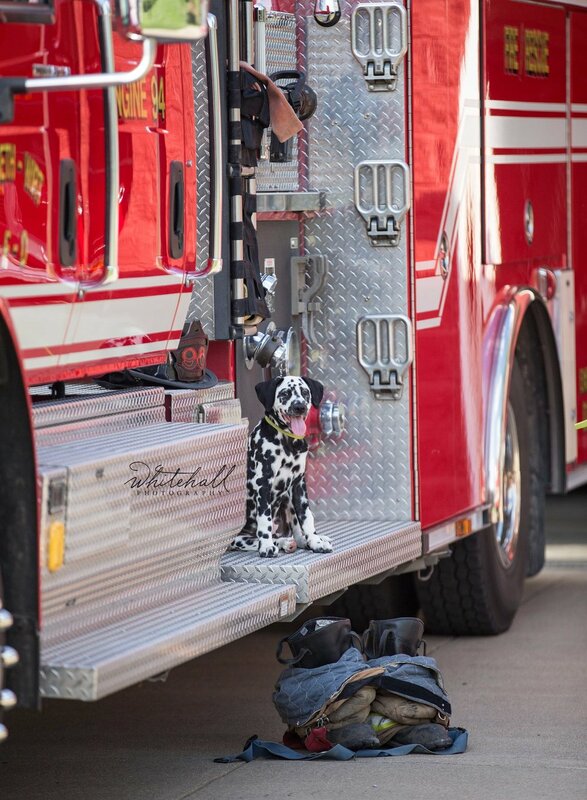 I get out of the car holding Cooper and introduce myself as a pet photographer from St. Louis, Missouri and ask if I could use their fire truck. I'm not sure if it was my sad puppy eyes or Cooper's, but they let us use the truck and offering to pull out trucks and gear. I became a crazy pet photographer shooting all the angles, all the equipment/props and those big eyes captured my heart. Tamela Weese Martin for coordinating the use of Cooper and driving me to Elizabeth. Cooper's Mom and Dad and Sisters, Jazzy and Julie. Nate Kuhn of Show me Shields for lending me his helmet. And the fire crew of Elizabeth-Wirt Volunteer Fire Department, Elizabeth WV for making these images from my head a reality. This is the first in a series of ‘When I grow up”.